Hey everyone! 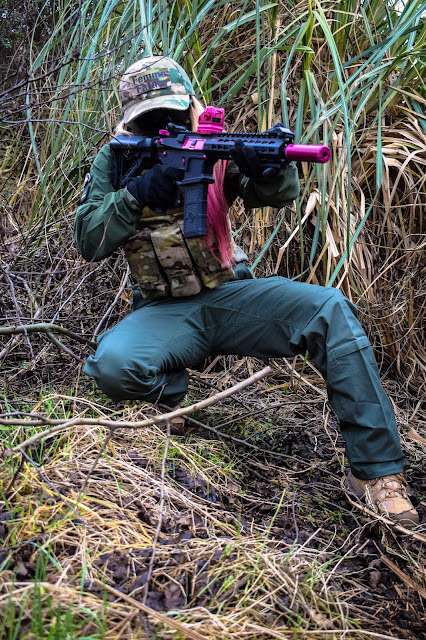 I know you’re all massive fans of our load out posts and this is a BDU colour that I am super excited about! My friends over at Military 1st have kindly let me build my ideal ranger green BDU and supplied a bunch of kit for the loadout! 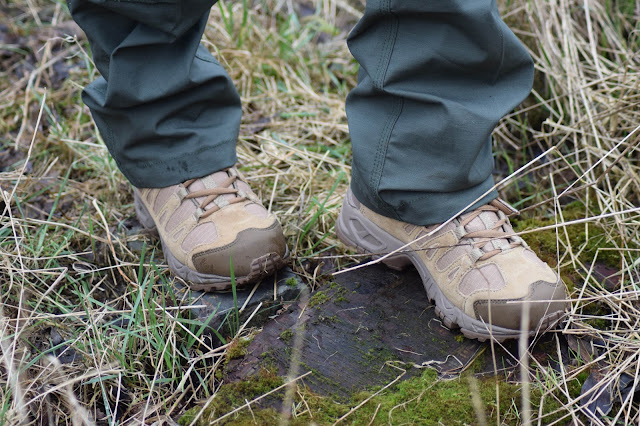 In this post we’re going to look at kit from the brands 5.11 Tactical and Pentagon including the 5.11 TacticalRapid Response Quarter Zip Shirt in green, the Pentagon BDU 2.0 Pants in Green and the Pentagon Achilles Trekking 6” boots! Let’s me give you a little info about Military 1st ! 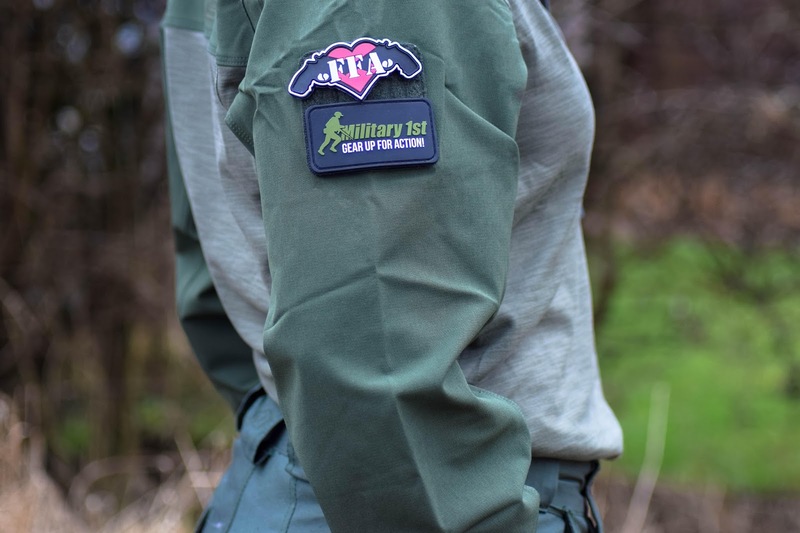 Military 1st are an online retailer based in Manchester, UK who stock tonnes of brands for Military, Police, outdoor enthusiasts and of course, Airsofters. They are a company I used as a customer before I teamed up with them to bring you kit reviews and I’ve always found my orders were correct, on time and I love that you’re always kept up to date with where your order is in regards to shipping with emails and texts! On the occasion I ordered the wrong size, their staff were very helpful and making the exchange was pretty easy. Now let’s get down to the first item, the 5.11 Tactical Rapid Response Quarter Zip Shirt! The shirt is made from a high performance, quick-dry, two-way stretch Polyester and Spandex mix fabric making it moisture wicking and quick drying – this is what really makes the shirt perfect under body armour or as a middle layer. It has a quarter zip front with a chin guard which helps protect my neck area during games, a zipped pocket on the left arm for storage and Velcro on the right for displaying your favourite patches. It has a very simple and clean look which I really like. I love the little embroidered 5.11 details and the embossed zips – they all add to the look of the shirt. But, how does it fit? 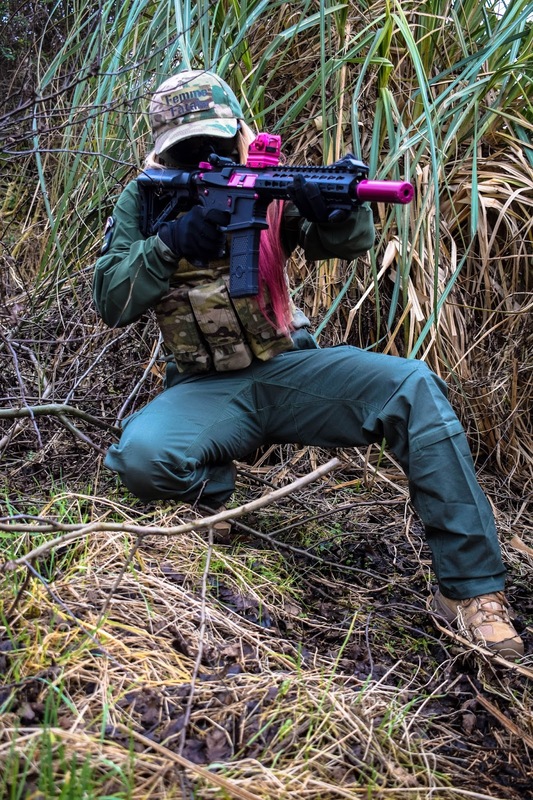 The Rapid Response Shirt is a unisex fit and I am usually very sceptical of how accommodating for the female frame a unisex fit can be but unlike a lot of UBACS on the market this product has a ‘compressed fit’ meaning it fits tighter around the body’s contours, which is great for the ladies and for guys of a slender build. I chose a size small and the shirt fit well around my shoulders and the sleeves were loose enough for me to roll them up which is typically how I play, the only thing I found was the shirt was quite long in the body (I’m only 5”4) but I tucked the shirt into the trousers comfortably – no drama! 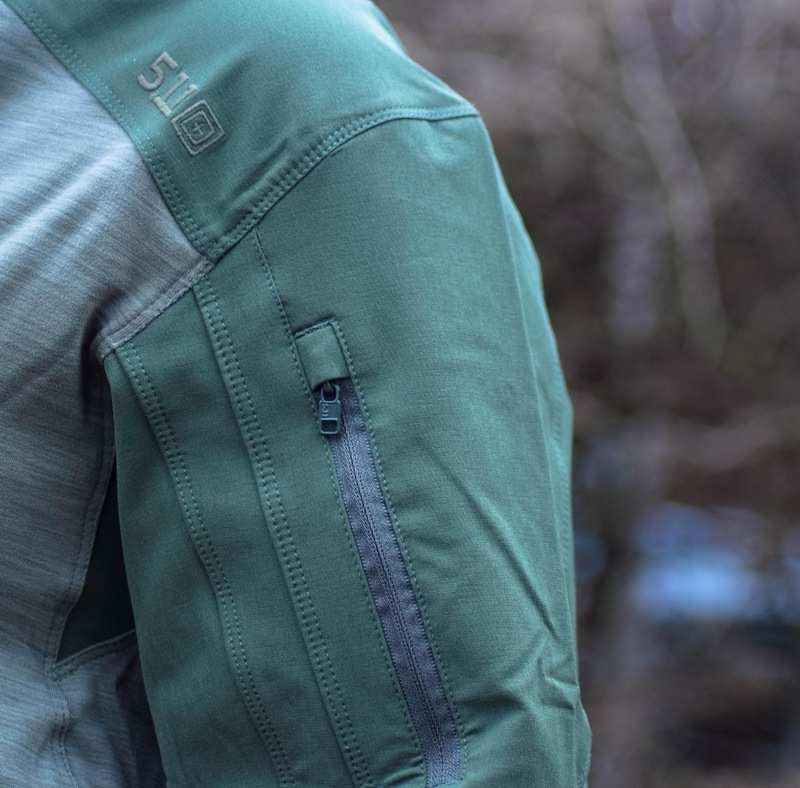 In regards to price the shirt retails at £63.00 in this colour way so it is a little pricey compared to other green UBACS on the market but 5.11 is quality gear and very well constructed. The Pentagon BDU 2.0 Pants were a real interesting find, what mostly attracted me to these was the durability, the colour and the price point. 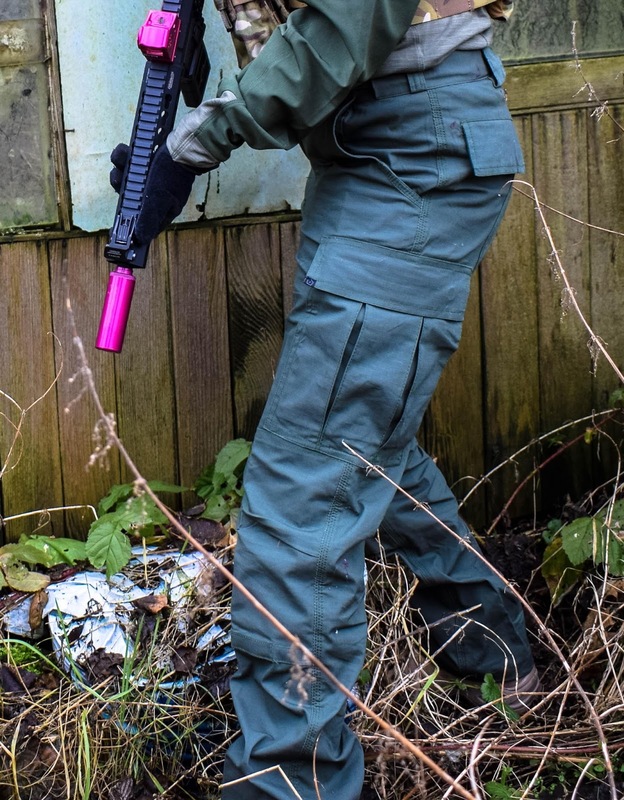 So these are made of 215gsm rip-stop fabric (that comes in a variety of colours) with a reinforced seat and knees meaning they are ideal for heavy duty wear, perfect for Airsoft and they have plenty of pockets – two front hand pockets, two back pockets with Velcro fastenings, two expandable cargo pockets on the legs and a small tool pocket on the front of the right leg. SO MUCH STORAGE! They also have space for covert knee pads and 6 chunky belt loop that are perfect for a belt. They come in sizes 32” to 44” so I opted for the 32” waist, my waist measures at 29” so these give me a little bit of extra room around the waist, especially if I want to tuck in a field shirt or UBACS. As they are a unisex fit the waist band sits just above my belly button. They were really comfy to wear even when crouching and playing. These trousers retail at £23.95 in this colour way so they are also super affordable. For the price, I am really impressed with the features they come with – the only thing I can think that Pentagon could improve on them is offer them in smaller sizes as well for those of a smaller build. And lastly, for the footwear I chose the Pentagon Achilles Trekking 6” boots and I am in love with them! The footwear is definitely my favourite part of the outfit. 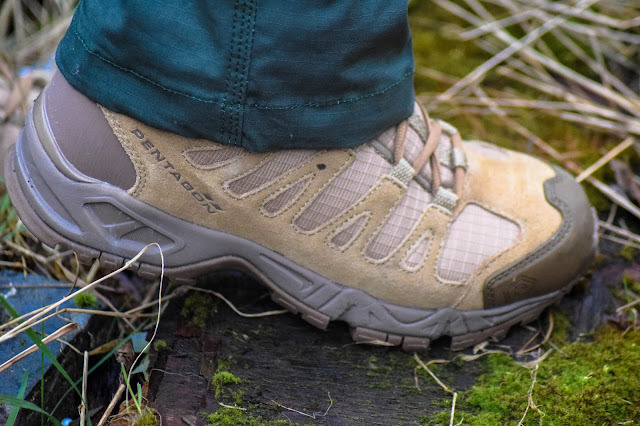 These are brand new to Military 1st and they retail at £94.95 which is cheaper than some of the other high end brands but they are still packed with features. 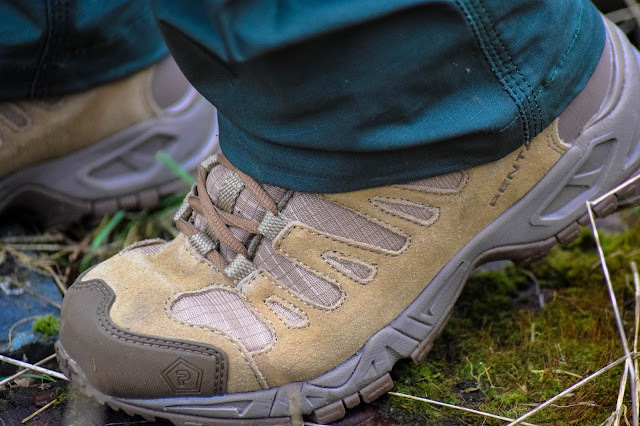 They are a coyote suede leather, ankle length boot that comes with features including a Dintex waterproof and breathable membrane lining to keep your feet nice and dry during ops and an Ortholite sole which makes them comfy to wear for extended periods of time. I usually wear a 4.5 shoe so chose a size 5.to give me a little extra space for thick socks during the winter months. The boots are really comfortable across the toes, instep and don’t rub against my heels. The top of the boot sits just above my ankle so I’m pretty happy with the ankle support they give and they have a pretty decent sole on them as well. 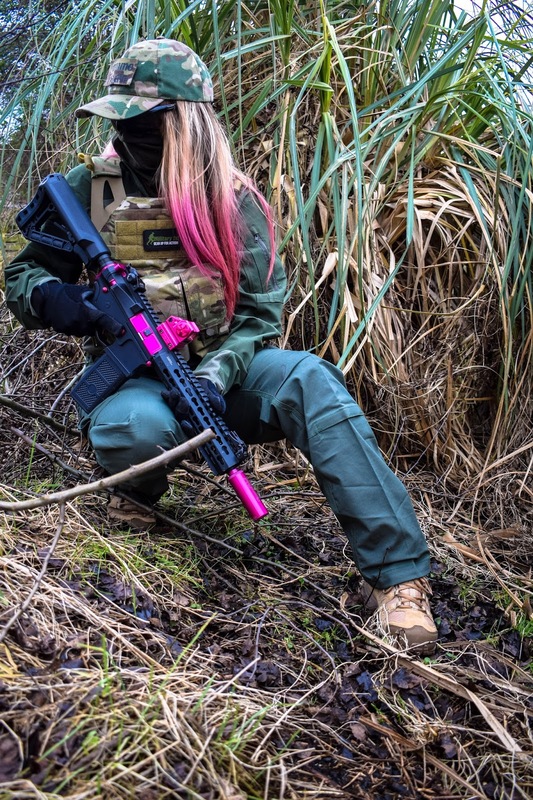 I’ve worn these in an outdoors environment so far and couldn’t fault them, I am really looking forward to running them in a CQB match! 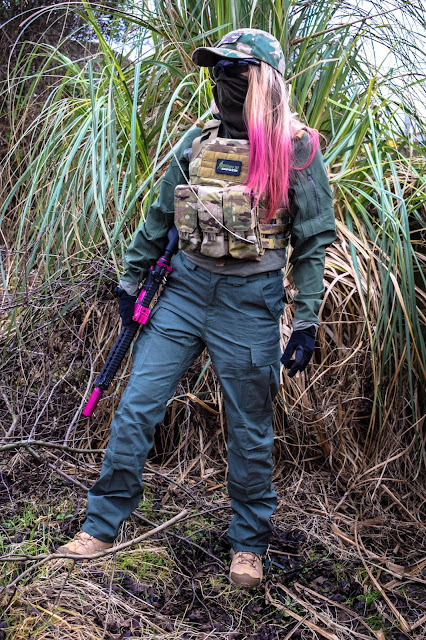 I’m really digging this ranger green loadout and will definitely be adding to it in the future, I’d love to add a green plate carrier and other accessories to make it a really cohesive look. 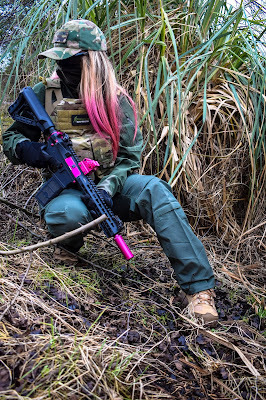 We at Femme Fatale Airsoft would like to thank Military 1st for making this post possible and also like to congratulate them on being voted as the Best Gear Retailer for Europe in Popular Airsoft’s 7th Player Choice Awards! Keep up the awesome work!